What’s in Your Sub Tub? 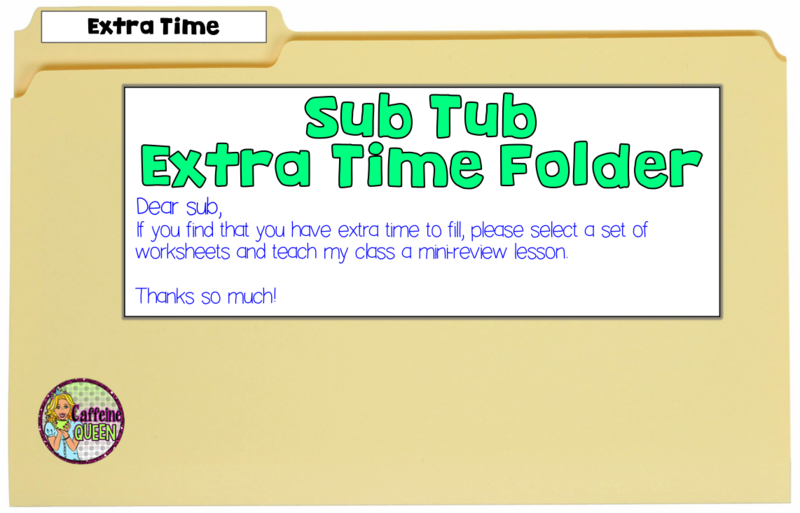 Do you have an “Extra Time Folder” in your Sub Tub? No? You should! 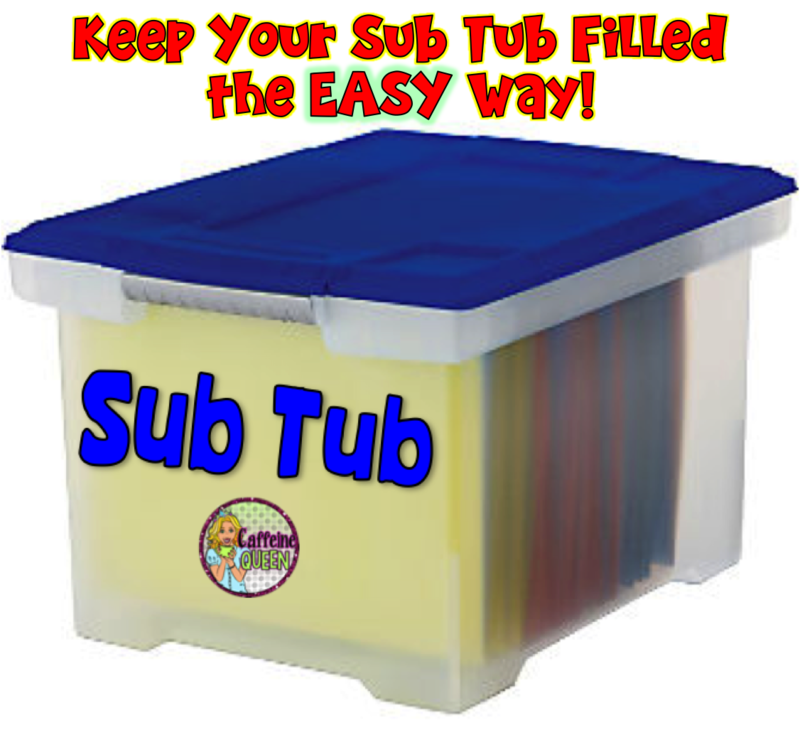 It’s quick and easy to keep filled, and best of all – it’s WIN-WIN for your students and your sub! Allow me to explain! Sometimes – OOPS – USUALLY – I over plan my lessons. By the end of the week, I usually have a few stacks of papers/worksheets that I never got to use during class. Instead of recycling them, toss them into your Sub Tub! Even if they aren’t used by a sub for months – they will be great review when they are pulled out and used. Plus, your sub will appreciate having extra MEANINGFUL work for your students if one of your lessons is too short and there is extra time. We all know that when students have down time, that’s when the trouble starts! So, now you know my secret to a LITTLE bit easier sub plans (sub planning is tough stuff for me!!) Just give those extras a toss into an “EXTRA TIME” folder. I think you’ll agree that it’s a WIN-WIN situation – and you don’t waste paper! So, file it away; Pin it and use it!